Stan Wootton Locksmiths Geelong is proud to announce our latest restricted key profile – “SECURE6”. Whether you have a large business in central Geelong, or a small holiday home on the Surf Coast or Bellarine Peninsula, restricted keys give you the peace of mind required when handing out keys to staff, tradesmen or tenants. 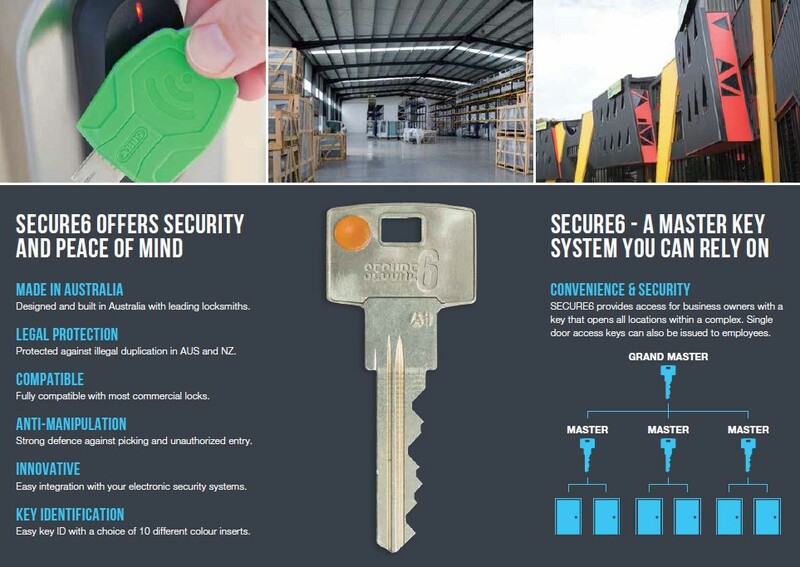 The unique, patented design of SECURE6 eliminates the possibility of unauthorised key cutting and duplication. The design is legally protected until the end of 2024 in Australia and New Zealand and will still be considered fully restricted by Stan Wootton Locksmiths beyond this time. 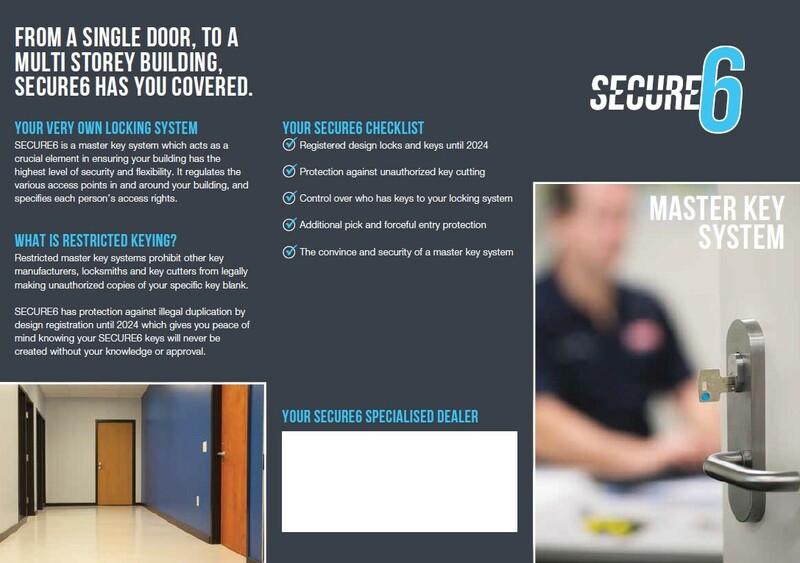 SECURE6 is fully compatible with the commercial lock market in Australia and in most cases will be compatible with cylinders already installed. The system has been designed with future security technologies in mind. The ABUS combi cap can be fitted to all SECURE6 keys for easy integration with electronic security systems.